Welcome to your new home in Baltimore, Maryland. This home features 2 bedrooms, 1 ~ bathrooms and hardwood floors throughout the living room and kitchen. Enjoy the industrial finishes with the gorgeous exposed brick and iron railings. 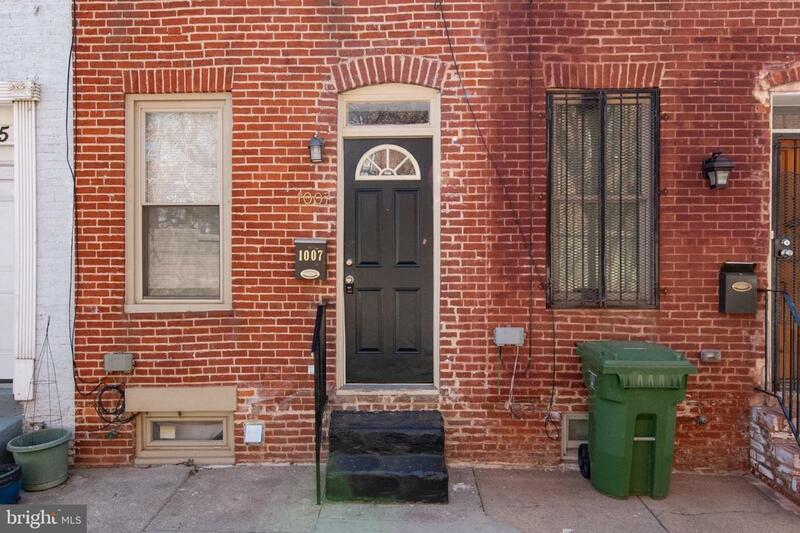 Granite countertops, updated bathroom fixtures, fresh paint throughout the home and brand new carpet on the top floor are only some of the things that make Sterrett Street special.Explore the many adventures that await you in Baltimore! Take a day and walk through the Baltimore Aquarium, have lunch at any of the fabulous seafood restaurants at the Harbor, catch a game at M&T Bank Stadium or the famous Camden Yards, and end the night on your back porch under the stars. Enjoy this and so much more in Baltimore! Welcome Home! Exclusions Please See Documents Section. Inclusions Please See Documents Section.